We are a fully insured Concrete Contracting Company. Need Your Style Implemented Into The Architecture Design! Is your backyard in need of a makeover? Would you like a space to entertain? Why not consider a concrete patio? Concrete can be colored with stain to blend in with the landscape or can be stamped with patterns to mimic slate, tile, brick and even flagstone. Concrete can also be formed easily into any shape to accommodate any backyard area restriction. It is very durable and low-maintenance. It is a better option than wood because it won’t warp or rot and doesn’t have to be stained periodically. And unlike paving stones, there are no joints where grass can sprout in between. How About Adding Acid Stain? Stained concrete gives you the ability add subtle color hints, bold accents, and even customized graphics. The surface is fade-resistant and won’t flake away like paint. Depending on the look you wish to achieve, you have a choice between acid-based stains or water based. Acid stains react chemically to the concrete, creating a natural color variation that adds character and definition. Acid-based stains are typically in earth tones. If a bolder color palette is what you want, water-based stains are the way to go. There is a full spectrum of hues, and often times colors can even be mixed, giving you a broader range of options. There is an endless array of decorative effects you can achieve using water-based and acid-based stains. The best approach is usually to keep it simple. One stain or color hue will easily compliment your landscape. Staining is a low-cost option; if you wish to use multiple stains or create custom graphics, it may end up costing a little more. Call us For Architecture Design Services (678) 378-5963! Stamped Concrete Really Jazzes Up An Old Concrete Slab! If you want to upgrade a bit further, stamped concrete is an even better option. 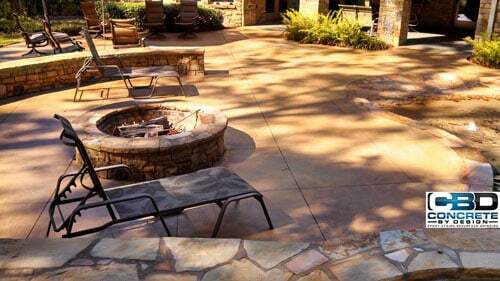 Stamped concrete can mimic the look and texture of stone, for about 50% less. It can also have the look of brick, cobblestones, cracked earth, and weathered wood. You can even add patterns, such as leaf patterns or animal shapes. 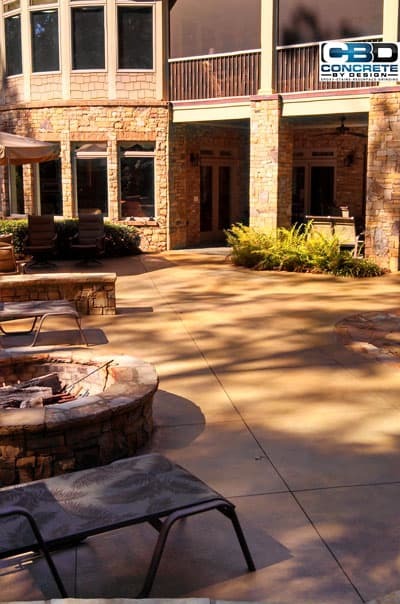 The best part is, stamped concrete is low-maintenance. The “stones” won’t settle over time or create uneven surfaces. There are no grout lines and no joints. A stamped concrete patio is simple to describe. It’s a concrete slab with a textured surface. Our workers will pour and smooth the slab, press the pattern into the surface while it’s still wet, and color can be added to the mix to add realism. Sprays can also be added after the concrete has been stamped. Stamps are about 2-by-2 feet square and are about an inch or two thick. They are pressed into wet concrete to give it a textured finished. Before putting the stamp into the concrete, the pattern side is sprayed with a release agent. This prevents the concrete from sticking to the stamp. Colored release agents add accents and gives an “antique” finish. One pattern is usually set with several stamps in various shades and textures. This prevents the pattern from being repeated. Also, stamps have interlocking tabs, so that any grout lines will perfectly align. 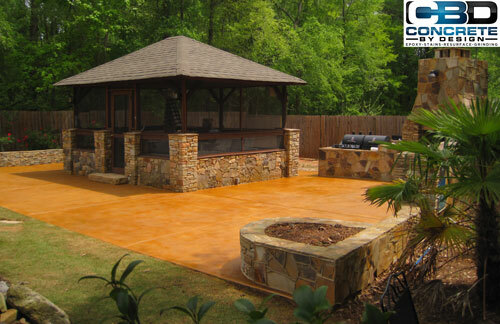 Stamped concrete typically runs around $10-$15 a square foot, professionally installed. There are very few drawbacks. You can even add a stamped finish to an existing patio slab, if it is in good, stable condition. No matter what you decide to use, stains or stamps, it will surely spice up your backyard space. We offer concrete services to the following Atlanta Georgia areas. If you do not see your area please contact us (678) 378-5963, we may be able to handle your concrete project! Services to Atlanta and Surrounding areas! Concrete By Design’s personal goal is to be our client’s first choice for all their concrete design needs by concentrating on providing exceptional customer service and high-quality concrete services for residential and commercial projects. 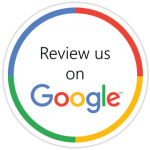 We Are A Fully Insured Concrete Company!